Now and again when I go record shopping I like to do some kind of random purchase. It could be anything which looks vaguely interesting really but last week it was the latest album from Two Gallants. Although I'd seen their name splashed around in the music press their music I'd never heard. 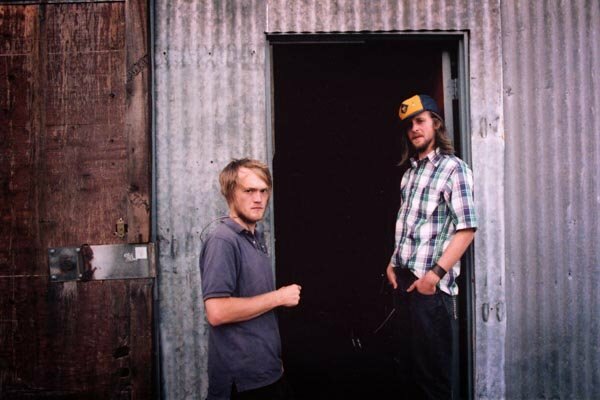 Two Gallants are a duo consisting of Adam Stephens and Tyson Vogel. Their debut album "The Throes" was released on Alive records last year but I think the one to buy is the latest offering "What The Toll Tells". The first track "Las Cruces Jail" is worthy of the entry fee on it's own. The band are currently in the middle of a massive tour which takes in most of the U.S. and Canada. This is a recording of one ofn their European dates from earlier in the year. March 1st is the date and the venue is Ancienne Belgique ABClub, Brussels, Belgium. I can't download it, is there anyway to fix that? I can't download it either. Goddamn, i was relishing the prospect..